ClassicSolutions and SolutionsPlus combine beauty and function to produce a commercial mat that is highly effective in protecting your floors from damaging dirt and moisture. ClassicSolutions and SolutionsPlus mats are manufactured with static dissipative solution-dyed nylon fiber; which provides superior washfastness and lightfastness. ClassicSolutions and SolutionPlus mats’ yarn is twisted and heat-set to enhance dirt and moisture collection and to maximize product life. Designed to complement today’s interiors, ClassicSolutions and SolutionsPlus mats are offered in a wide range of attractive designer colors. 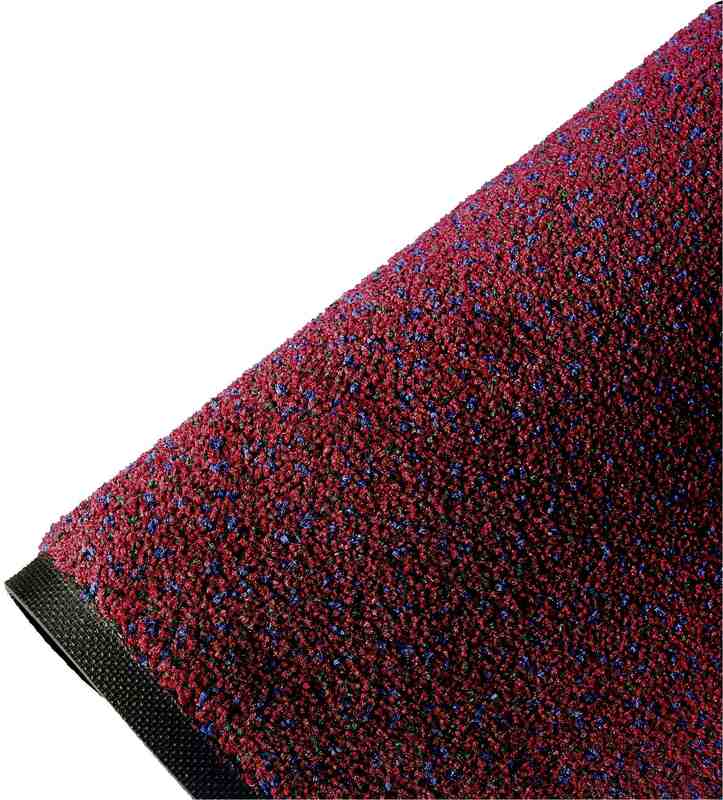 Mats are manufactured with static dissipative solution-dyed nylon fiber, which provides superior wash fastness and light fastness. Wide range of attractive designer colors, including blended colors created for today’s commercial interiors. 100% Nitrile Rubber backing resists curling and cracking in all types of weather. Available with CarpetCleat, Smooth, Picture Frame or Suction backing. Heavy duty backed mats are an option for high-traffic areas, and are ideal where grocery carts, wheelchairs, etc. are running over mats. *Not all colors are available in 5′ and 6′ widths. See price list for available colors and additional styles.